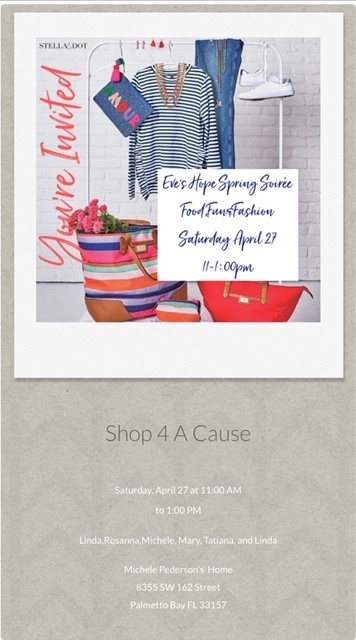 You and your friends are invited to a Stella & Dot Spring Soirée to benefit Eve’s Hope! Come for the fellowship, fun, and fashion of Spring and Summer! Swing by for Style and enjoy tasty Refreshments and Giveaways Galore! All to benefit Eve’s Hope!